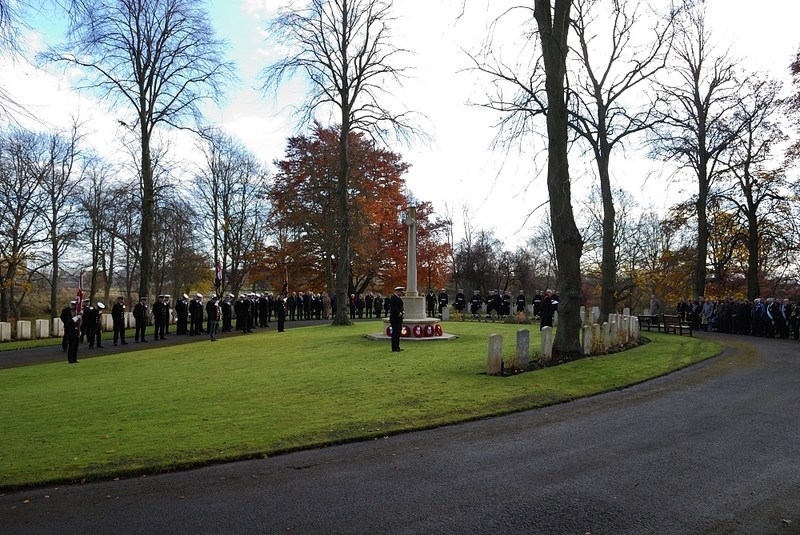 The whole ship’s company stood together on Saturday 10th November 2012 at Douglas Bank Cemetery, Pattiesmuir, to remember Naval personnel killed during periods of conflict and whilst on general duty. The service was led by HMS Scotia’s Chaplain, Reverend Doctor Marjory MacLean. Douglas Bank Cemetery lies close to HMS Scotia’s base, and is one of the largest areas in Fife designated for the burial and commemoration of service personnel who have lost their lives serving their country. “It has been an honour and a privilege for HMS SCOTIA to join communities across the East of Scotland in paying our heartfelt respects to all those who have made the ultimate sacrifice in conflict spanning the centuries. To lay a wreath on behalf of the Naval Service at the military cemetery here at Douglas Bank, a cemetery so very closely associated with Rosyth and our training establishment, makes our engagement during this most important period of national remembrance all the more poignant,” said Commander Andy Poulton-Watt, Commanding Officer of HMS SCOTIA. 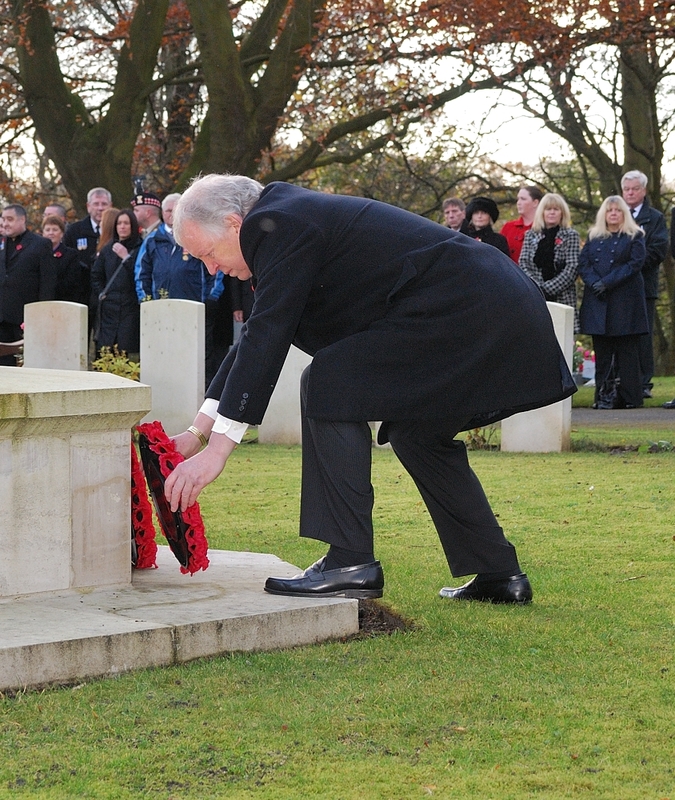 Wreaths were laid by Commander Andy Poulton-Watt, Bill Walker MSP, Fife Council and the British Legion, as well as family and friends of those buried within the cemetery. On Sunday 11th November 2012, groups of Scotia personnel represented the Royal Navy throughout the East of Scotland region, at ceremonies in Edinburgh, Dundee, Dunfermline and Falkirk. 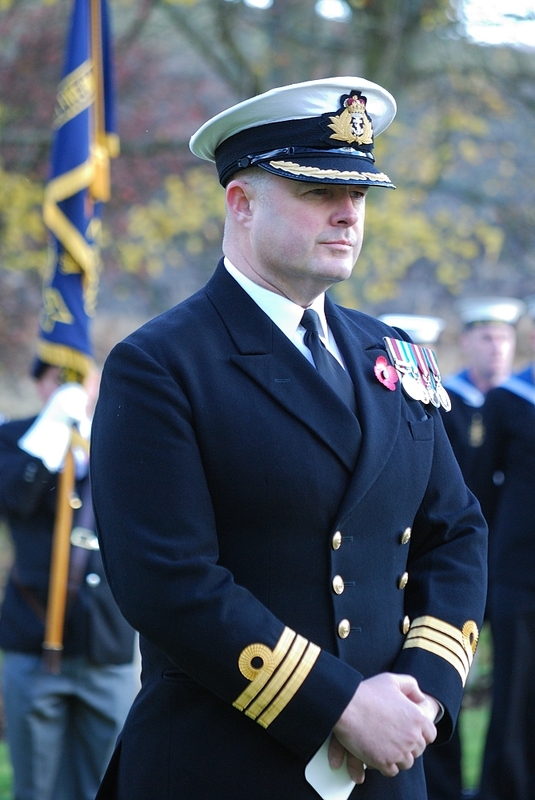 “All those who currently serve in the Royal Naval Reserve are acutely conscious of the sacrifice and achievements of those who have gone before us,” said Commander Andy Poulton-Watt.